I finished all my writing for tonight, but cannot bring myself to go to bed quite yet. What better time to update my blog than when I am so tired my eyes hurt? Should be an interesting experience for everyone, or at least you. I’m probably about to look really silly. First thing first: Furry Book Month is now half-finished! If you haven’t already, you should check it out while you still can. Following that little link will take you to all the officially arranged promotions, however I have also spotted some deals on Twitter under #FurryBookMonth that I don’t recall seeing anywhere else. Second, I am writing again. In fact I am making good progress so far. Book 2 the Honor’s Path series is now 2/3rds written. Really regret the long break I took in working on it. Yes, I was moving, but not writing always feels like an excuse. Really felt like I was back in the saddle tonight, so I’m looking forward to knocking out this rough draft by mid-December if possible. Third, this blog! I am (trying) to give it a bit of a face lift. Nothing major, just a few little widgets. There is actually an archive widget I would like to try out because it looks way nicer than my current one, however now it is a little broken and labels all months after July incorrectly. Hopefully that will be fixed with the new update. So, if you see changes you like (or ones you absolutely hate) be sure to let me know. That’s all for now. Seeing as it is now 5am I should probably crawl into bed before I become completely incoherent. 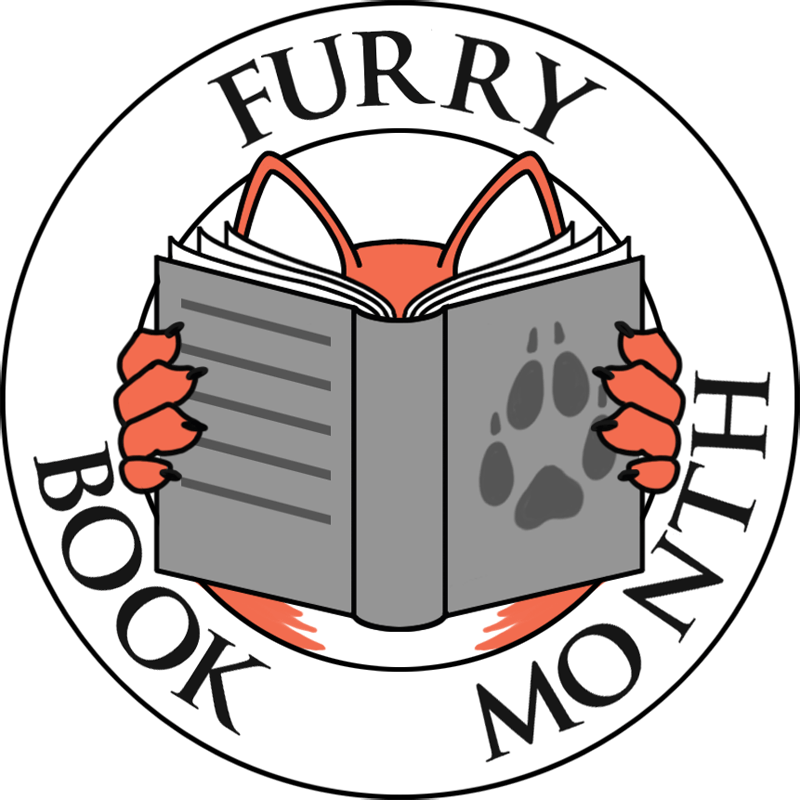 At long last I am able to talk about the promotional campaign I’ve been somewhat involved with: Furry Book Month. This has been in the works for a while, and now that everything is together I am happy to announce that I will be participating. So during my trip to Colorado for my brother’s graduation I ended up reading 4 books during the intervals where I wasn’t driving. This is pretty typical of me during travel, since it is pretty difficult to do much of anything else in a car (or plane), and my Kindle always has a backlog of books just waiting to be read. I’m not a slow reader by any means, and tend to binge read, so a stretch of several days can see me devour several books in quick succession without any problem at all. Generally I find that most books I pick up have their good points. This isn’t to say I like everything I read. There are certainly books I pick up and feel ambivalent about as I work my way through them, but I’m generally able to understand what the book is and identify why it doesn’t work for me. Often this just comes down to such fickle things as voice, themes, and my mood at the time. People tend to be natural story tellers, we do it all the time, so in my experience telling an adequate story isn’t all that difficult (telling an exceptional one is another matter, however). That said there are things I see occasionally that just bug me. It ends up showing that the author just didn’t care, and in every case comes down to a lack of research. This is something I’ve complained about before, though mostly in private, because it is the type of problem that is really easy to avoid. In many cases a simple Google search is all that is required. I’m not going to name and shame here, because this isn’t a problem I’ve only seen in that book, however I am going to use examples from it to illustrate my point. Writing is quite difficult, I understand, but I feel that only makes it more important to avoid the simple mistakes. Been about a month since I talked about what I’m doing, so seems a good time for an update on that end. Never expected it to take this long for me to get back to a normal blog post, but then I guess things sometimes just happen. With how focused I was on getting In Honor’s Shadow out the door perhaps that is to be expected. As of today In Honor’s Shadow has officially hit Release Candidate 2. I doubt this is the version that will be released (there are still a couple of improvements I have in mind). Still, at this point I’ve started to focus more on the actual layout. The result has been actually a little eerie for me because I’m starting to get something that looks like a professional book, only it is my story. Getting everything to look nice has really forced me to dig into the formatting options available to me. The tricky part is that a LOT of the formatting with ebooks is handled automatically by the reader, so what might look nice on one platform can look simply bad on another. That said, most of it is just pushing text around subtly, checking to see how it looks, and then tweaking things again. There are a few flourishes that really make things pop though.